With a selection of comfortable and absorbent adult diapers and briefs, Direct Supply has everything you need to address incontinence in your community. 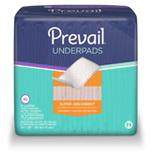 In addition to popular undergarments, we also offer underpads and wash wipes that can be used throughout your buildings. 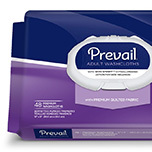 Incontinence can be managed in a dignified manner with the right products – find yours today. Looking for preventive solutions? The Attendant Prodigy Bladder Scanner can help address incontinence holistically throughout your community.